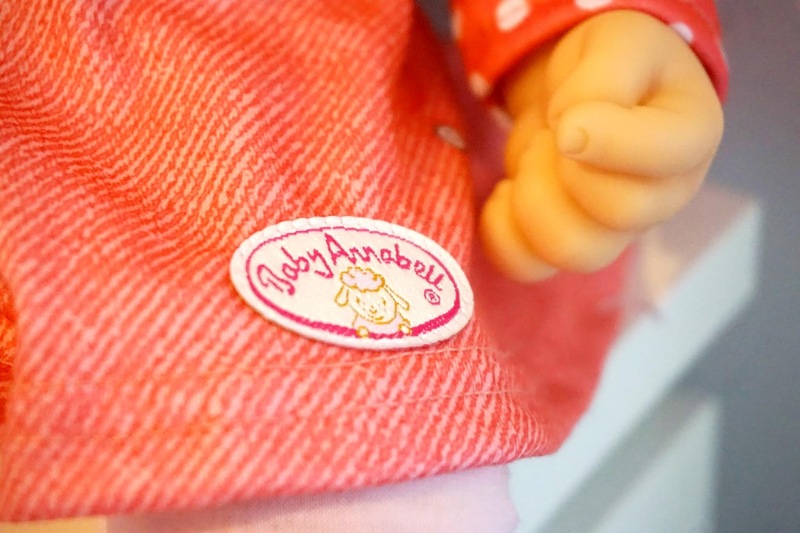 We were recently sent the new Baby Annabell Sophia So Soft to review. 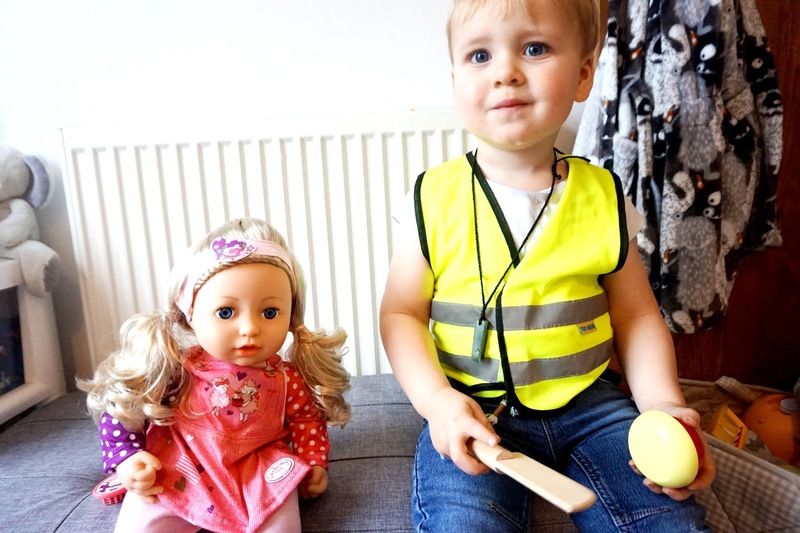 Anyone who knows Freddie, my youngest, will know that he adores dolls, just like his sisters did when they were younger too. My middle still adores dolls too, but not as much as Freddie. 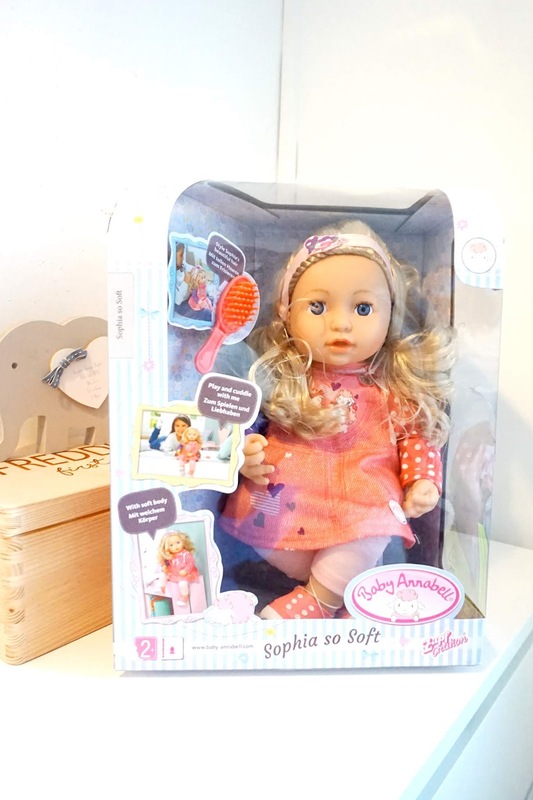 The new Sophia So Soft is a 43cm sized doll, which is a great size for little people. Sophia is Baby Annabell's big sister. I am always super pleased with the quality of Baby Annabell dolls and this Sophia So Soft doll didn't disappoint. 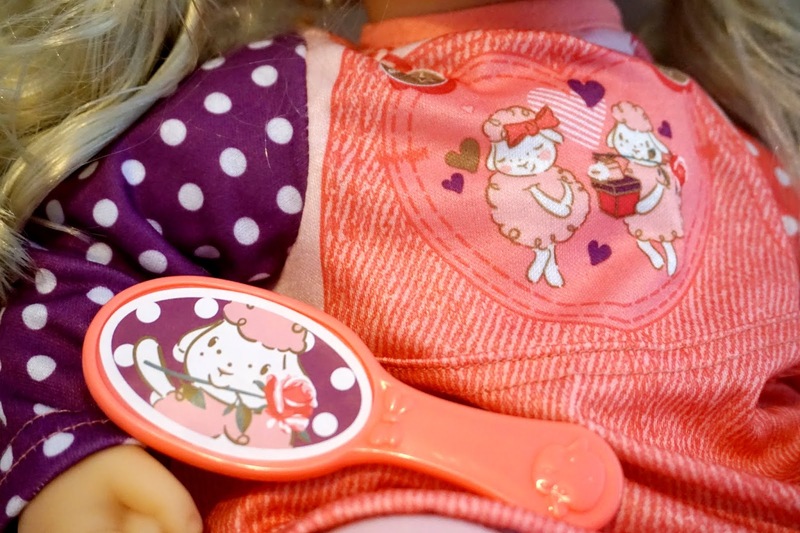 She has beautiful soft golden blonde hair and comes with a pink hairbrush. Freddie loves brushing through her soft hair and Elliw, my middle, loved brushing her hair too. 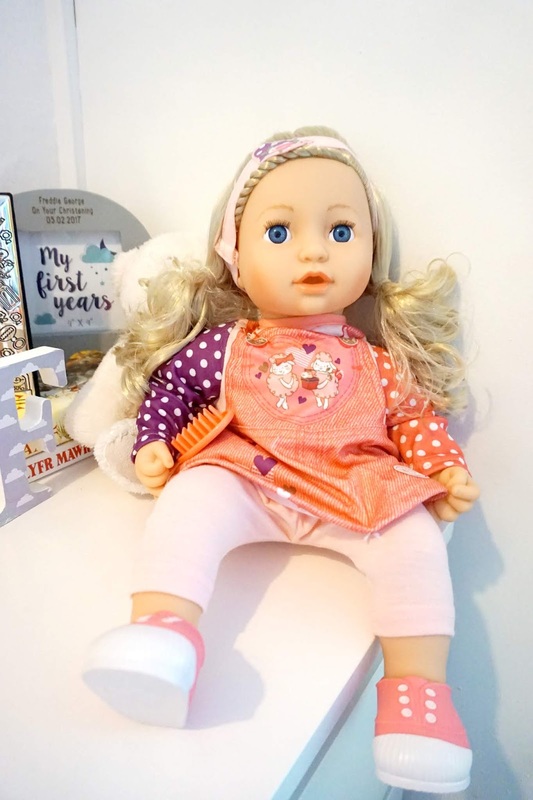 Sophia So Soft is dressed bright and fun with her dress and colourful purple and white polka dot top, not forgetting her matching headband and her pink trainers too! She has a soft body, which is great for the little ones to cuddle and playing. Freddie adores Sophia and loves to cuddle her, and her soft body makes her even more cuddly and friendly for the little ones. Her hair is soft and the ideal length for little ones to brush her hair. Sophia is great for little ones to use their imagination and learn more through imaginative play. Something I love watching is when the kids are using their imagination when playing. Whether it's playing hairdressers with the dolls, going shopping or taking her for a walk. We kindly gifted Baby Annabell Sophia So Soft. However, all words, images and opinions are entirely our own.